Researchers revealed bugs in the firm’s processors, as well as those of AMD and ARM, potentially making most computing devices vulnerable to hacks. Chipmakers need massive scale to justify huge investments, but a concentrated market means problems can become systemic. 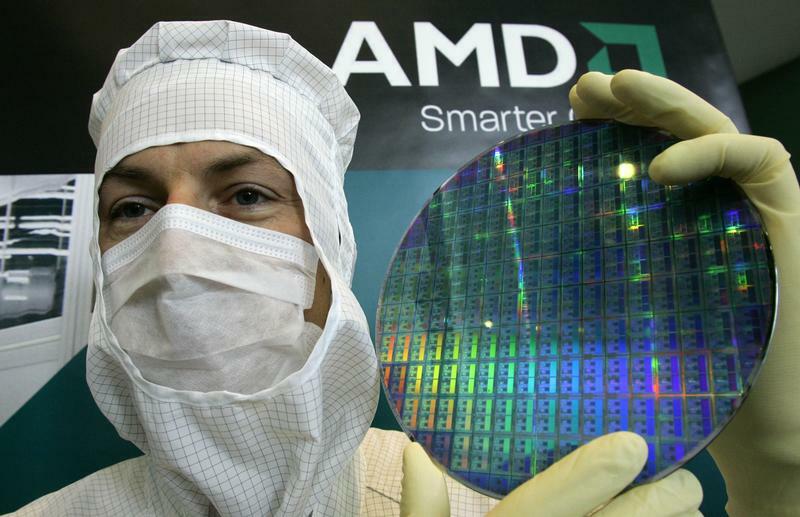 A technician of computer microprocessors maker AMD poses for the media with a wafer at the chip plant in Dresden October 24, 2006. Researchers on Jan. 3 revealed security flaws they said could let hackers steal sensitive information from nearly every modern computing device containing chips made by Intel, Advanced Micro Devices and ARM. One of the bugs is specific to Intel chips but another affects laptops, desktop computers, smartphones, tablets and internet servers. Intel and ARM said that the issue was not a design flaw, but it will require users to download a patch and update their operating system to fix. The researchers – including Alphabet's Google Project Zero and other organizations including Cyberus Technology and Graz University of Technology – discovered two vulnerabilities. What they have called “Meltdown” breaks down the hardware barrier between a user’s applications and operating system, potentially allowing hackers to access the memory and therefore secrets like passwords of other programs and the operating system. It affects Intel chips, but software patches are available. “Spectre” breaks the isolation between different applications, allowing an attacker to trick otherwise error-free programs into leaking secret information. It affects chips from Intel, AMD and ARM and is harder to protect against. The flaws were first reported by tech publication The Register, which also reported that updates to fix the problems could causes Intel chips to operate 5 percent to 30 percent more slowly. Intel denied that the patches would bog down computers based on Intel chips.